Located on the front entrance of Bridge Street Mall between DSW Shoes and Bravo Italiana facing Madison Blvd. With its abundant natural beauty, attractions like the US Space & Rocket Center, museums, and parks, Huntsville, AL is a great place to live. At BJ's Restaurant & Brewhouse, we're committed to making Huntsville a great place to eat and drink as well--that's how we're always Pursuing Amazing! More and more craft breweries are popping up in Huntsville--for flavor and quality you can count on, choose our bar with ten quality beers that are always on tap as well as seasonal and specialty suds. 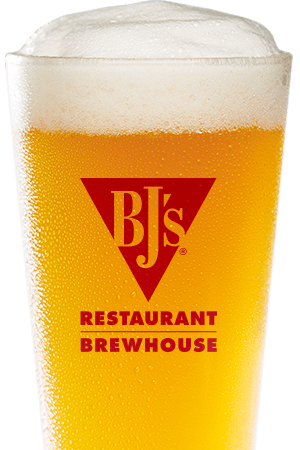 Here at BJ's Restaurant and Brewhouse, we've got the all the flavors you're craving! If you've got a hankering for some good eats, we've got a full menu of new flavors and classic favorites! We've got the selection to keep everyone from the most adventurous to the pickiest eaters happy--try one of our pizzas, like BJ's Signature Deep Dish Pizza, our New Tavern-Cut Pizza, or Gluten-Free Thin Crust Pizza. Not in the mood for pizza? Try a Handcrafted Burger, Garden Fresh Specialty Salad, or a Housemade Soup. Cutting calories is more fun when you order one of BJ's EnLIGHTened Entrees. We also offer a Gluten-Free Menu, a Kid's Menu, and desserts to share like our Pizookie! 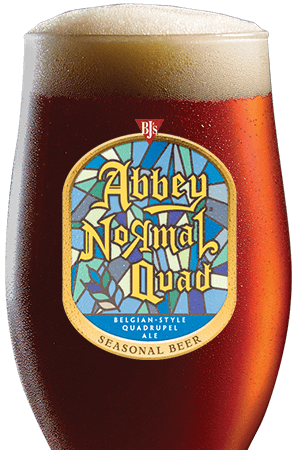 When it comes down to the beer you drink when watching the Crimson Tide play, quality counts. 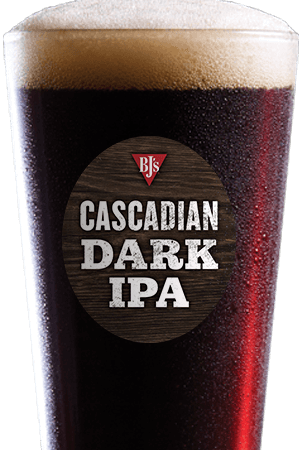 If you care about the quality of the beer you drink, it's time to treat yourself to the handcrafted brews at our bar--we feature ten always-on-tap beers along with BJ's Specialty Beers and Seasonal Beers. Looking for something light on a warm day--try a Brewhouse Blonde. Need a beer with a little bite? You'll love the Piranha Pale Ale! 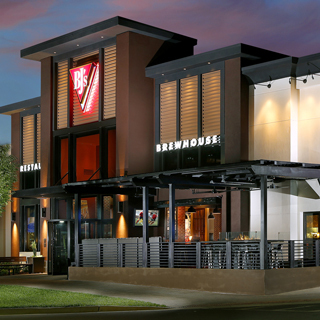 Come on by and we'll help you find the right beer to match your tastes at BJ's Restaurant & Brewhouse, where we're always Pursuing Amazing!
" A modern twist on a classic." A full service center bar with an open kitchen allows our guests to observe every step of their food and beverages journey to their table. A Happy Hour that is the favorite of both the soldiers stationed at the Arsenal and the technology driven employees of the Local Research Park.